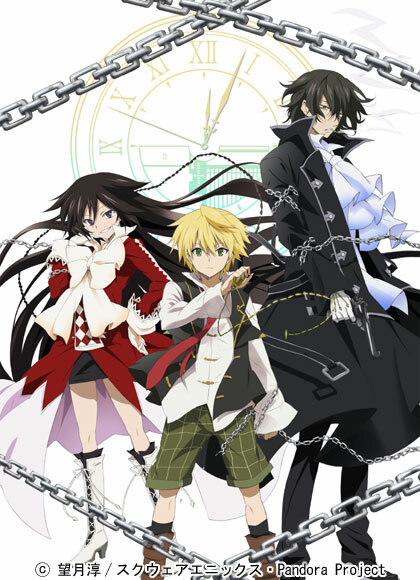 Pandora Hearts | I heard you liked music in anime and video games! Pandora Hearts is an anime that uses many of the motifs from Alice in Wonderland, including being chased by a hare, being thrown into an alternate reality, and rooms full of checkerboards with “kawaii” decor. The story revolves around Oz Vessalius, the heir to the Vessalius Dukedom. One of the main characters of the plot is also named Alice, who is a Chain that saves Oz when he is thrown into the “Abyss.” Oz later contracts Alice and they embark on their long lost journey. The main composer for the music in Pandora Hearts is Yuki Kaijura. Born in Tokyo, Japan, but raised in Germany until she reached middle school. Yuki wrote her first piece at the age of 7 as a farewell to her grandmother. After Yuki graduated from college, she did not become a serious composer until 1992. Her father greatly influenced her decision to shift careers to music from a systems programmer. Yuki is a reputable musical composer and producer who is responsible for the music of other series such as Noir, Aquarian Age, .hack//Roots, Puella Magi Madoka Magica, and Tsubasa Chronicles. In Padora Hearts, she is responsible mainly for the background music. In addition to the more classical works of Yuki, many J-pop artists worked were featured in the opening and closing theme songs for Pandora Hearts. Savage Genius’s Maze and Fiction Junction’s Parallel Hearts are two prime examples. The use of music from J-Pop in anime is common in Japan. The anime also featured Emily Bindiger’s Everytime You Kissed Me. Bindiger is an American singer from Brooklyn, New York. Bindiger was known for being apart of the acapella group the accidentals. Bindiger is also known for collaborating with Yuki in a number of anime series. Really love the work by Yuki kaijura. Her work in Noir and Puella Magica is amazing. I agree with Derk, the soundtrack is awesome. also a big fan of Kajiura, loved her work in this and FictionJunction’s song in the OP. super excited she’s coming to AX this year!